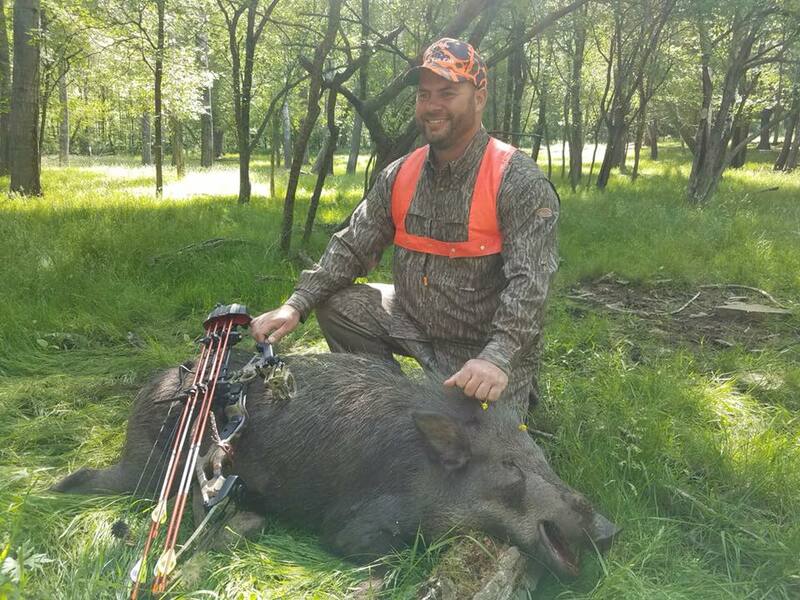 Did you know you can hunt for boar with Tioga 7 days a week and year-round? 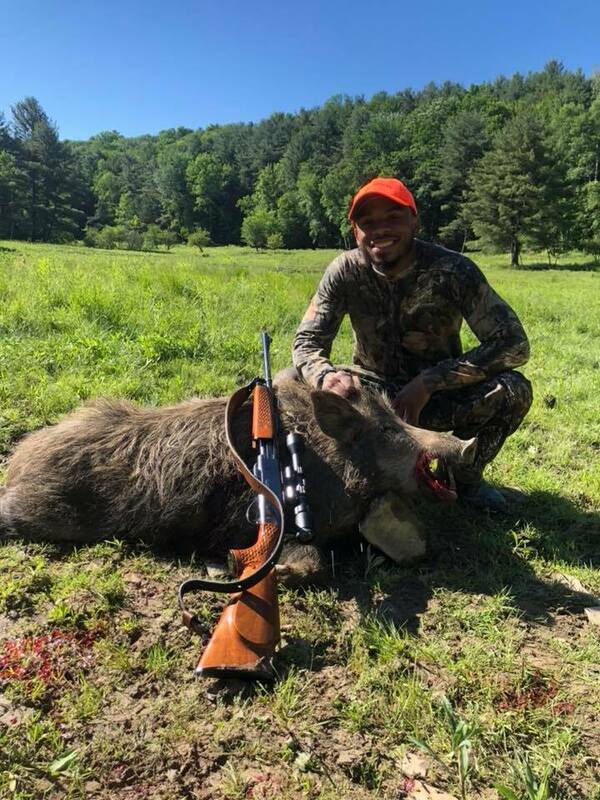 That’s right, you don’t have to worry about adjusting your schedule to hunt a big game boar! 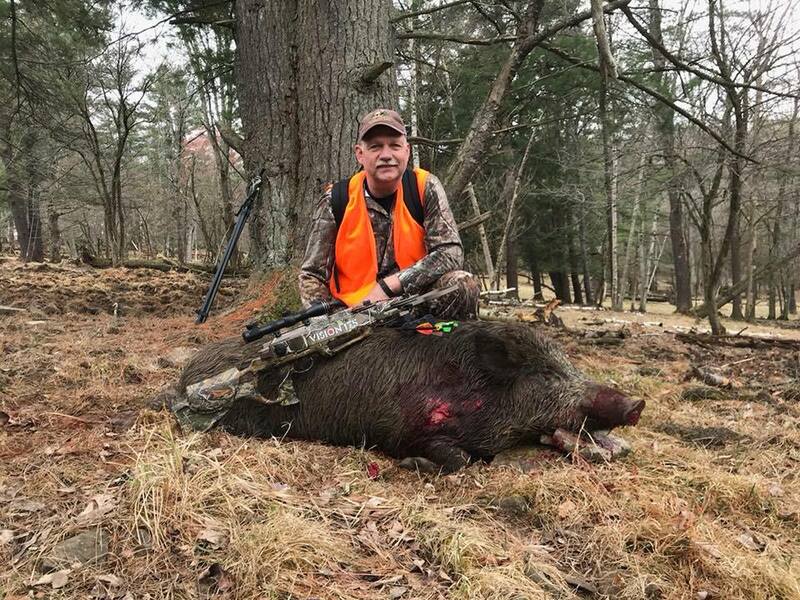 When your schedule is free, you can schedule your own guided boar hunt with one of the most reputable guides in the country! 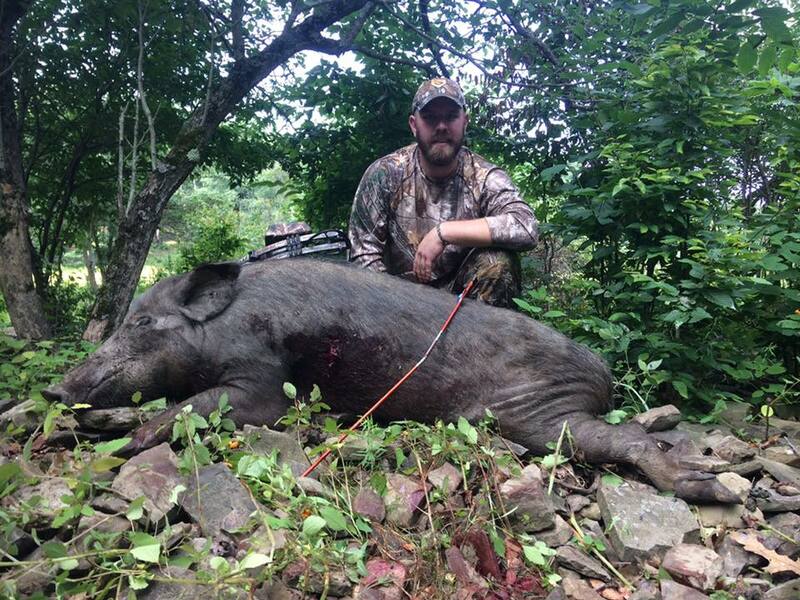 The management hog hunt is $650, and it provides you with an opportunity to hunt for a hog that will average 200lbs. 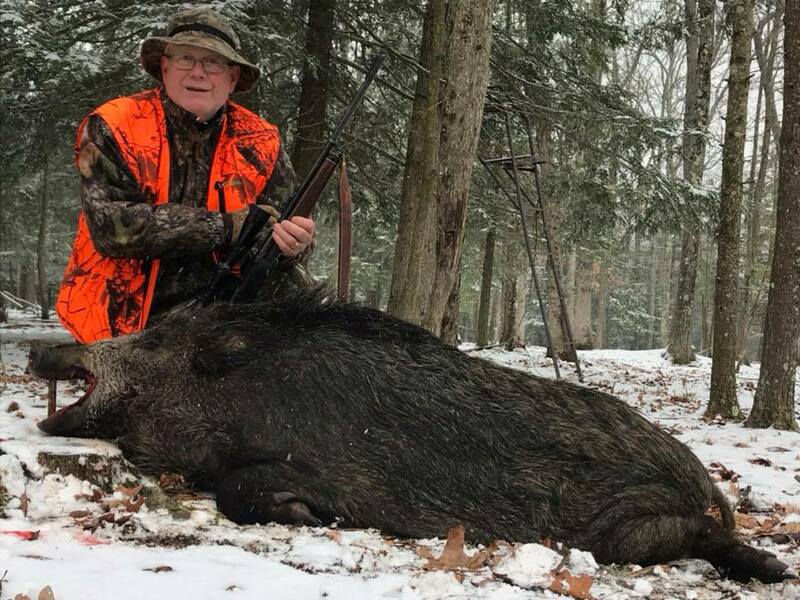 This package is ideal for the hunter who wants some delicious, fresh meat, but is not interested or concerned about mounting. 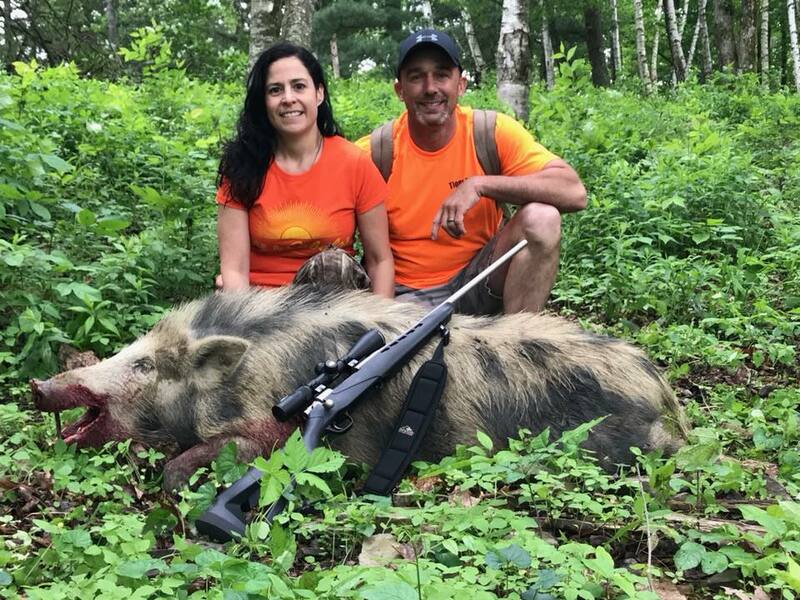 The trophy hunt is the most popular boar hunting package amongst our customers. 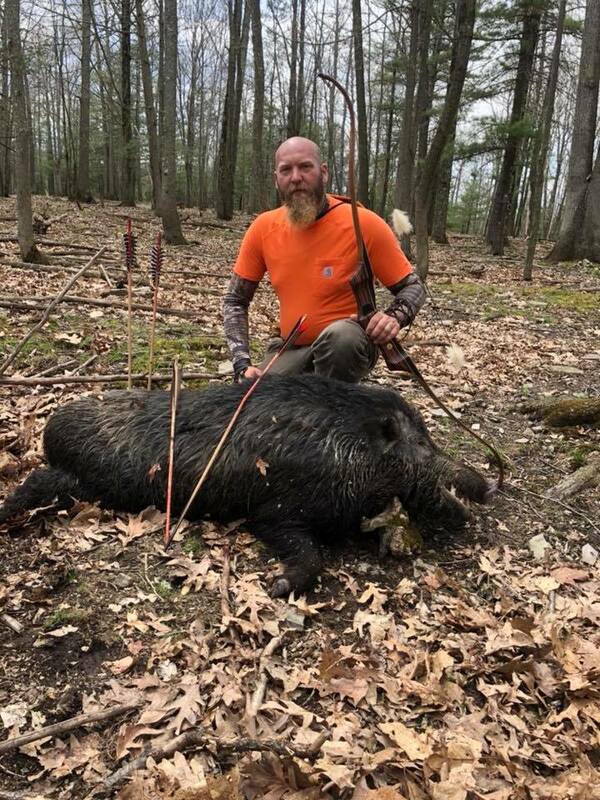 For $800, you will have the chance to hunt to for a Russian Boar between 151-200 lbs. 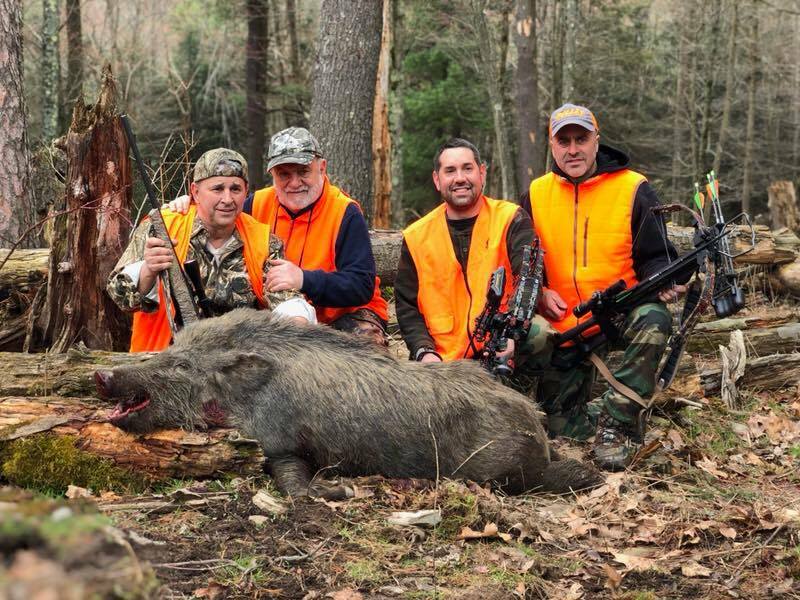 These boars will not only provide you with plentiful amounts of great meat, but make great shoulder and skull mounts. 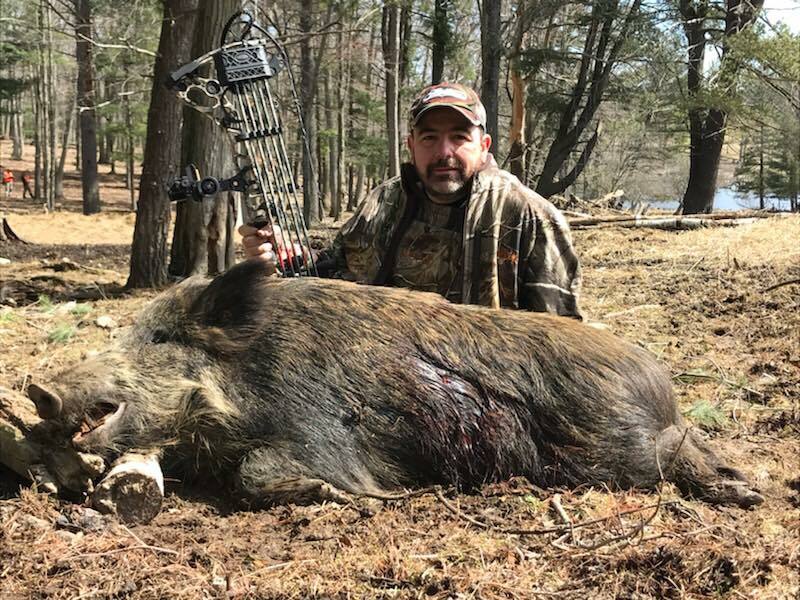 If you’re a thrill seeker in search for the biggest trophy boar you can find, then this hunt is for you. 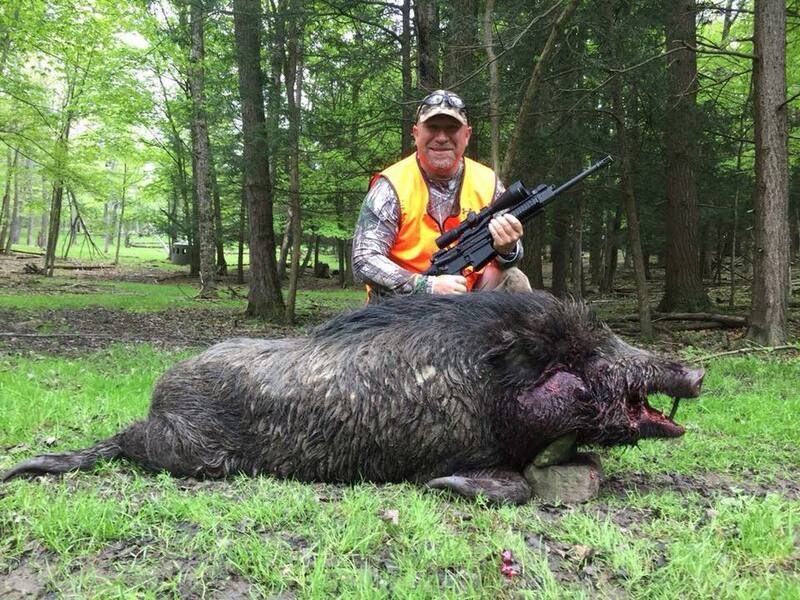 This hunt starts at $1,000; it is priced individually based on the size of the boar. 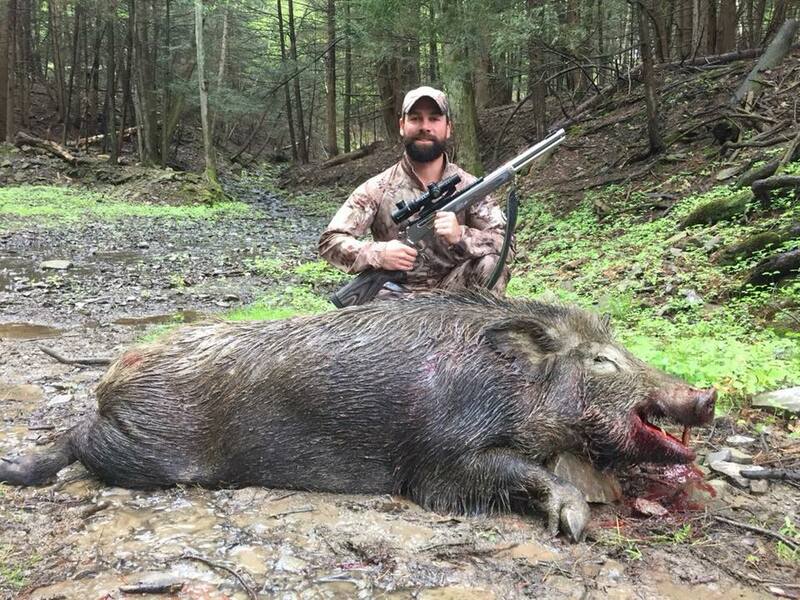 The boar you catch will range from anywhere over 250 lbs. 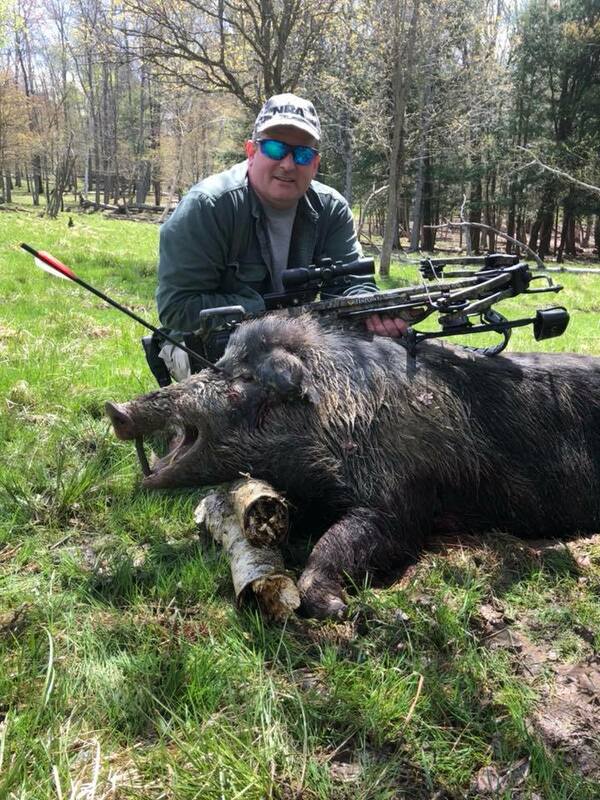 to as large as a robust 500 lbs., and we’ve even had some heavier than that! 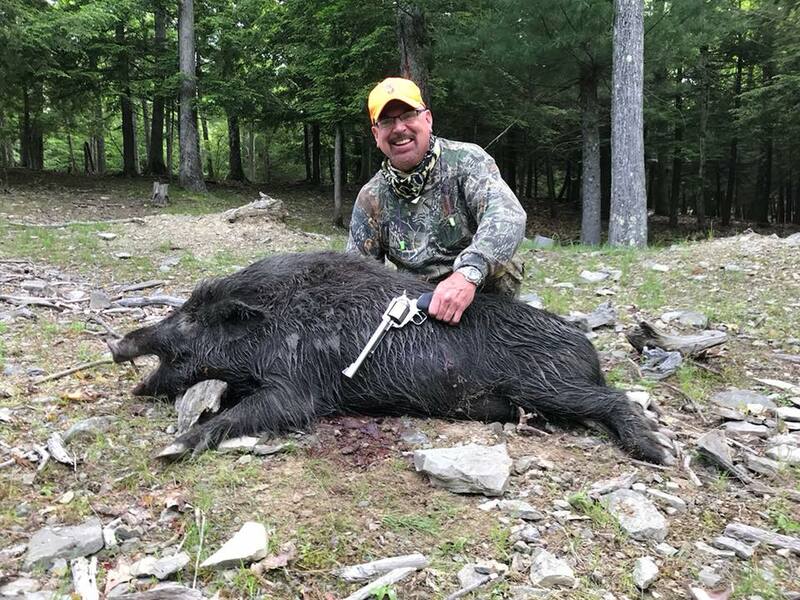 Our super trophy hunts provide hunters with amazing, robust meat, and more importantly, with a trophy that any sportsman or sportswoman would be proud to display. This is our newest package. 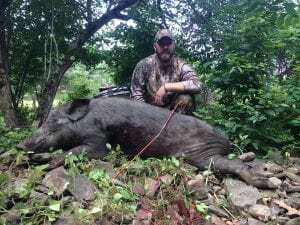 For $500, you can hunt for hogs that average around 180lbs. Please note, this package is only available Monday-Thursdays. 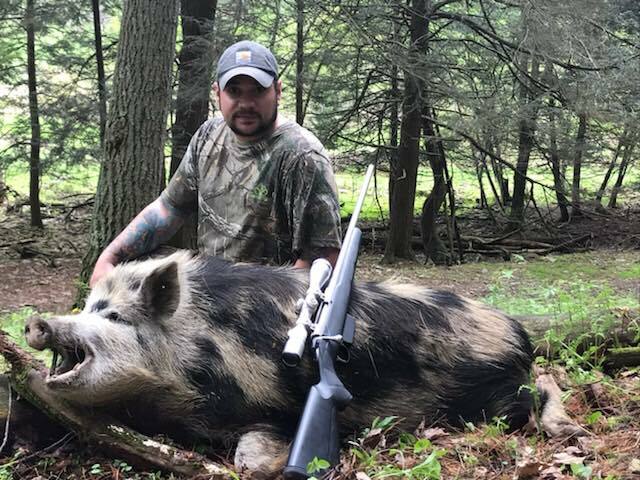 Most of our boar hunts are 1-2 days in length and they are fully guided. We have lodging on the premises for $120 a night, which includes breakfast, dinner and lunch. 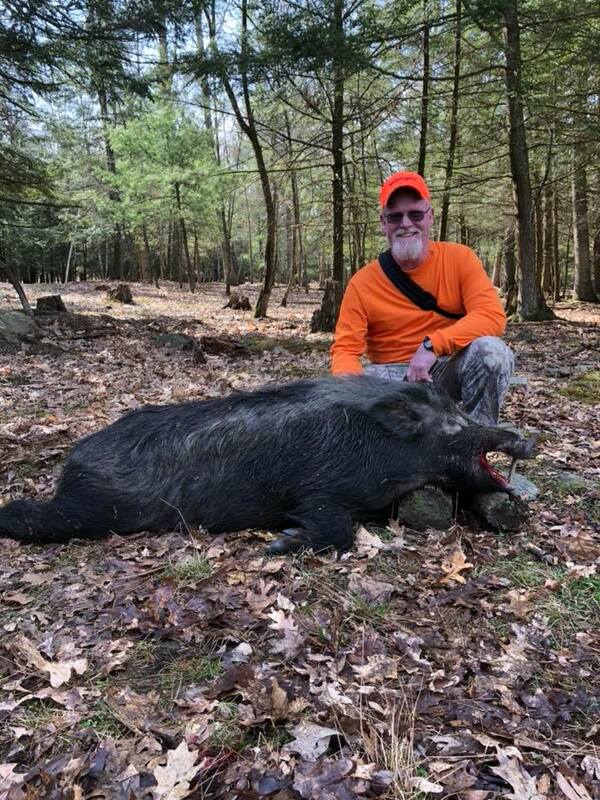 Our boar varies in color from black to dark red, gray and sometimes a spotted variation. 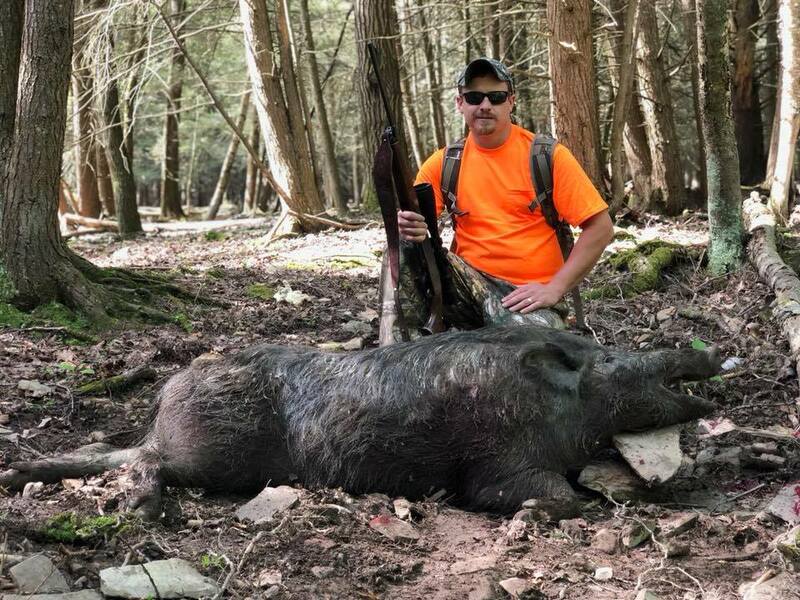 Hunting boar in the varying terrain of Tioga County will challenge any hunter’s skills. 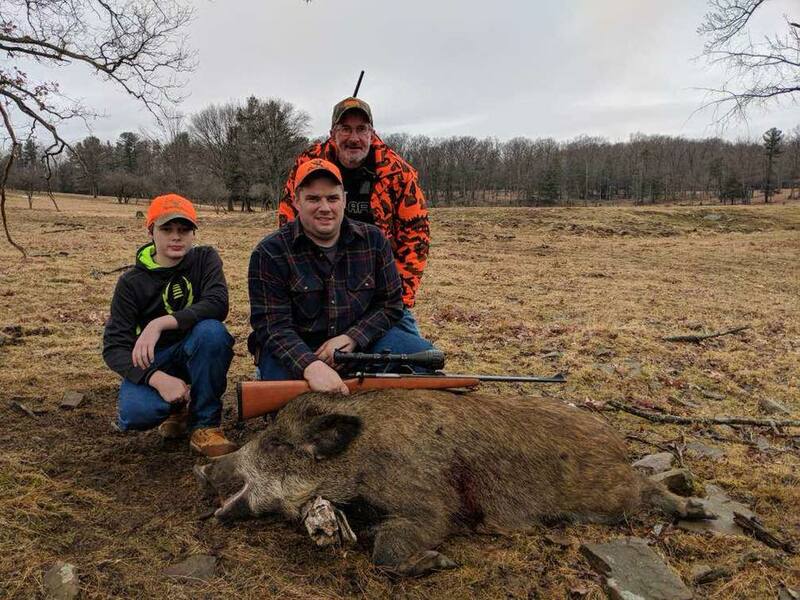 You can choose any rifle, muzzle-loader, shotgun, or pistol that you feel comfortable using. 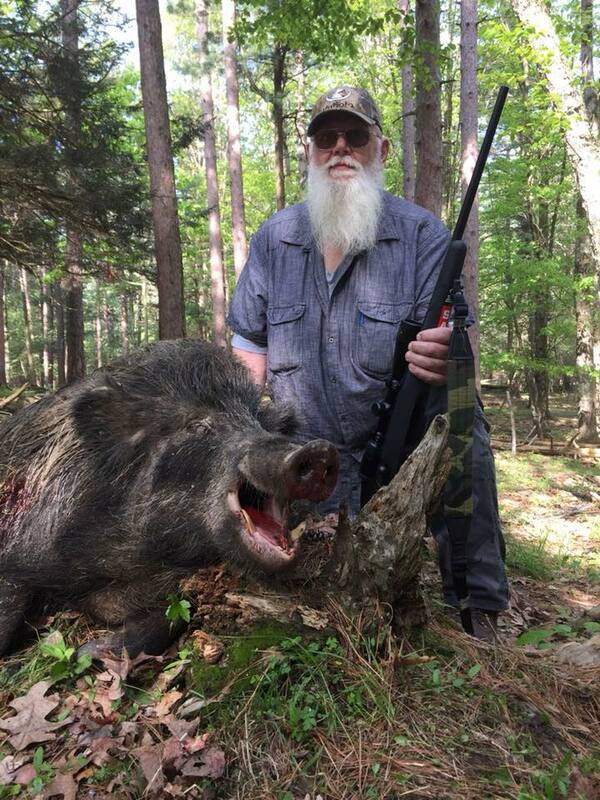 As a rule of thumb, anything you like using when hunting for whitetail will work. 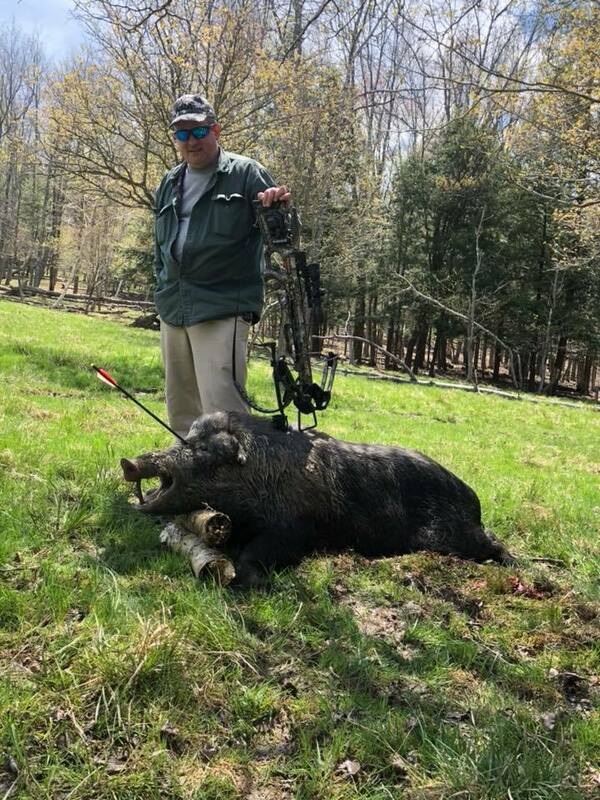 You can also use a bow and hunting a boar with your bow may be the most exciting hunt you will ever do. 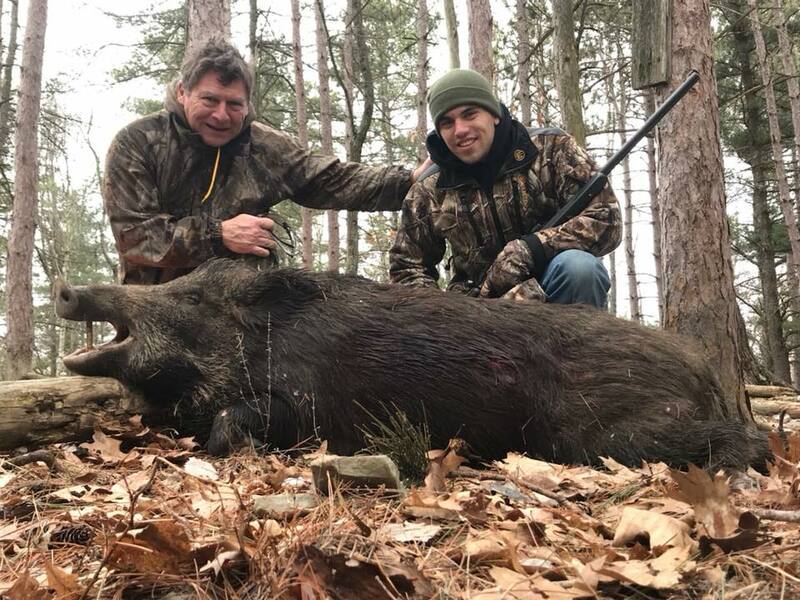 Your guide will also skin and butcher your meat for you for $185.00, this includes the guide skinning your boar for a shoulder mount and processing the meat into steaks, chops, roasts, spare ribs, and other choice cuts, along with vacuum sealing, and up to 10lbs of sausage. 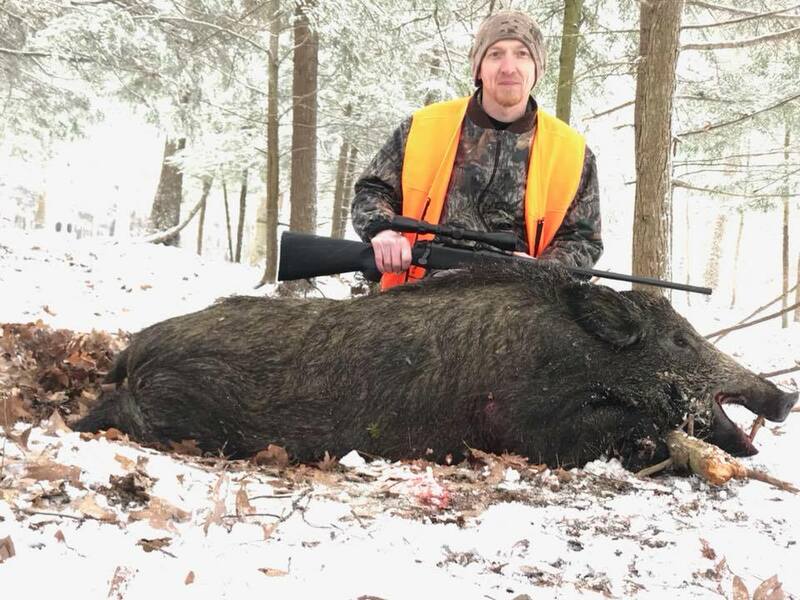 2019 Trophy Boar Special: $950.00 includes 1 Trophy Boar, 1 night lodging, meals, skinning, quartering, and ice. 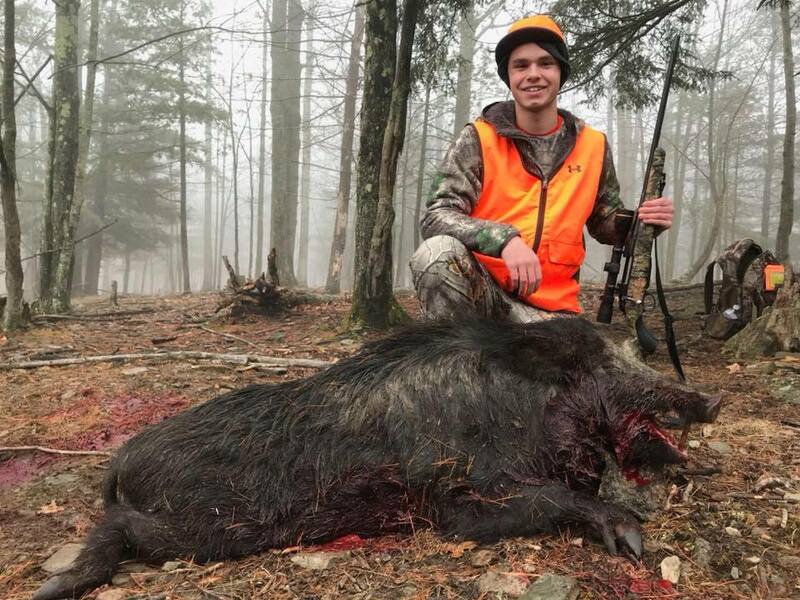 If you have any questions about our wild boar hunts or if you’d like to plan your own hog hunting trip in Tioga, Pennsylvania, call us at 570-835-5341.